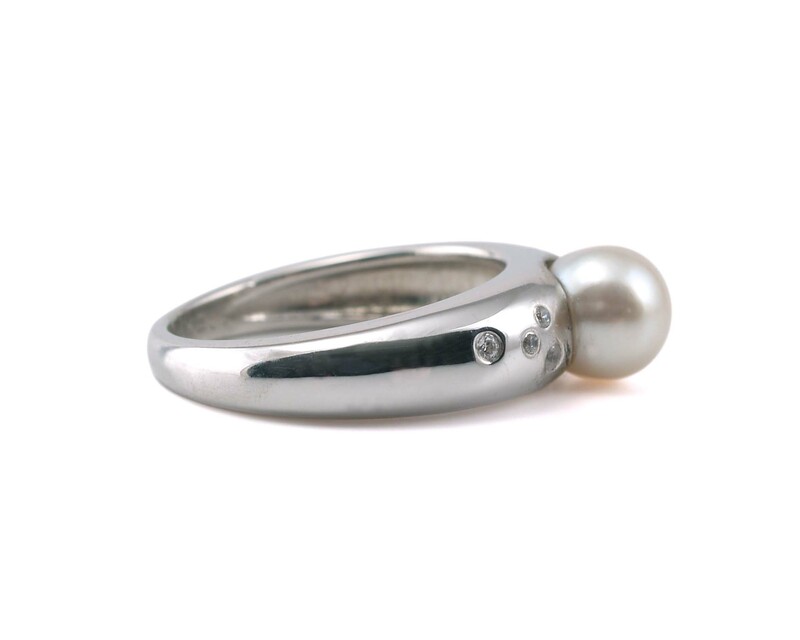 Beautiful, elegant 6.5mm AA Akoya Pearl nestled in a 14K white gold setting with asymmetrical ( 5, 1 on one side and 4 on the other) number of diamonds that are flush set on either side of the shank. 14KY with G/H SI1 quality round white brilliant cut diamonds hand set in our studio! 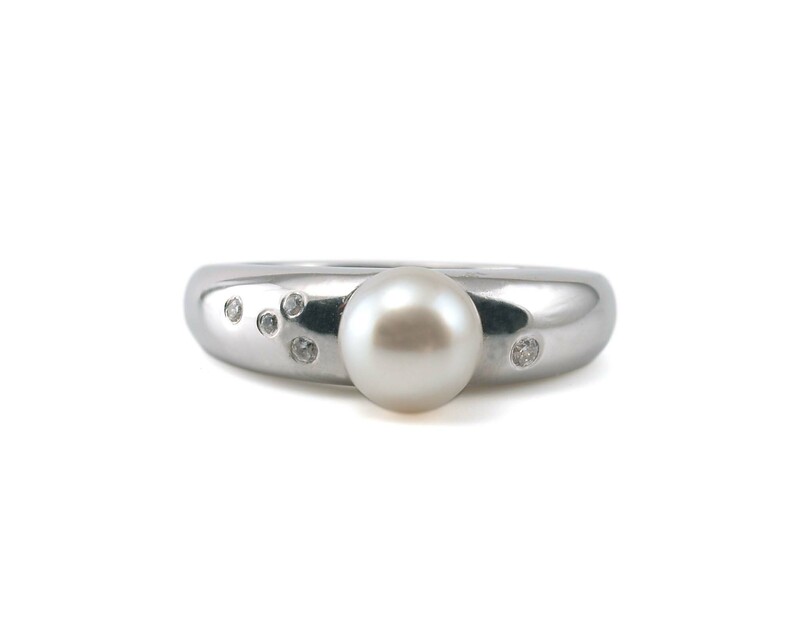 We designed this ring, cast it locally with ethically sourced gold. 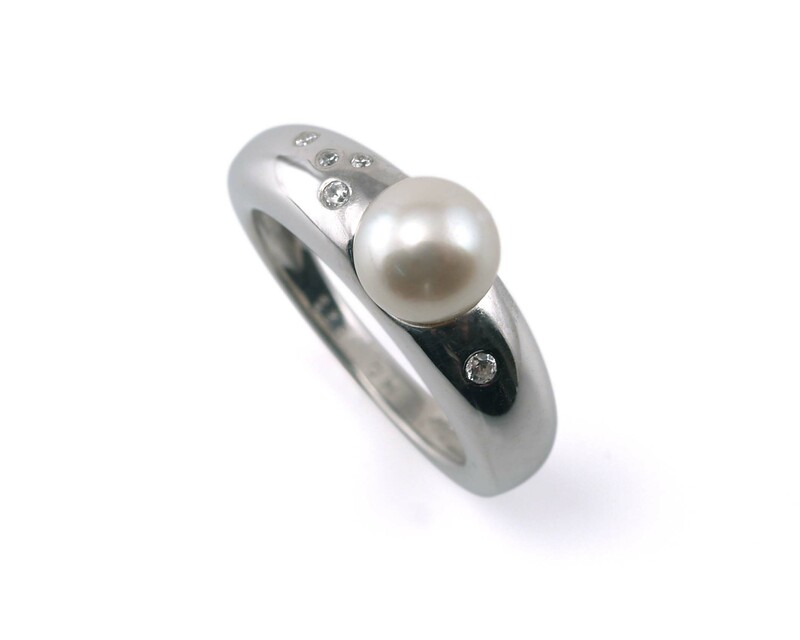 Price is all inclusive of Pearl and Diamonds.